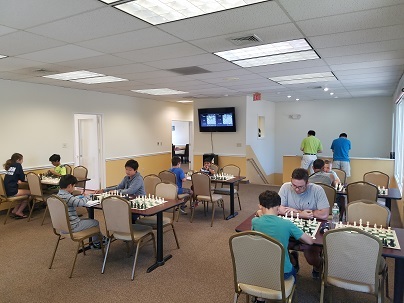 This week's Sunday Quads hosted 14 total playes to make up three sections: two quads and one six-player Swiss. Tournament favorite NM Yoon-Young Kim swept the top quad with a perfect 3/3 score. 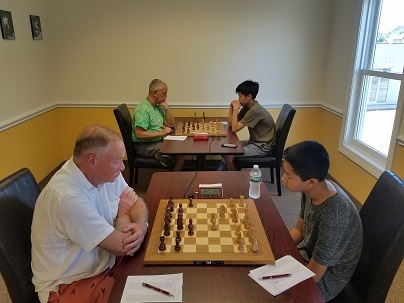 Quad two saw a surprise upset as Michael Korvyakov rated 1228 bested two significantly higher rated opponents to slip into first place a half point ahead of his closest rival. Finally, Mateusz Zalewski swept the third section (the six player swiss) with a perfect score. Second place went to Isaac Lief with 2/3. Thank you to everyone that participated today and congratulations to all of the winners!